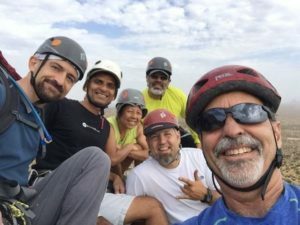 Arizona Mountaineering Club Member Meeting- Please Join Us! ***IMPORTANT DATE CHANGE FOR AMC MEMBER MEETINGS: Member meetings for the 2019 calendar are being moved from Mondays to the 4th WEDNESDAY, of every month, 7-9 pm. Member meeting are open to the public, please help get the word out! We are having a drawing at each meeting for a gift certificate worth $25-$50 for the Hiking Shack. Don't miss out!! 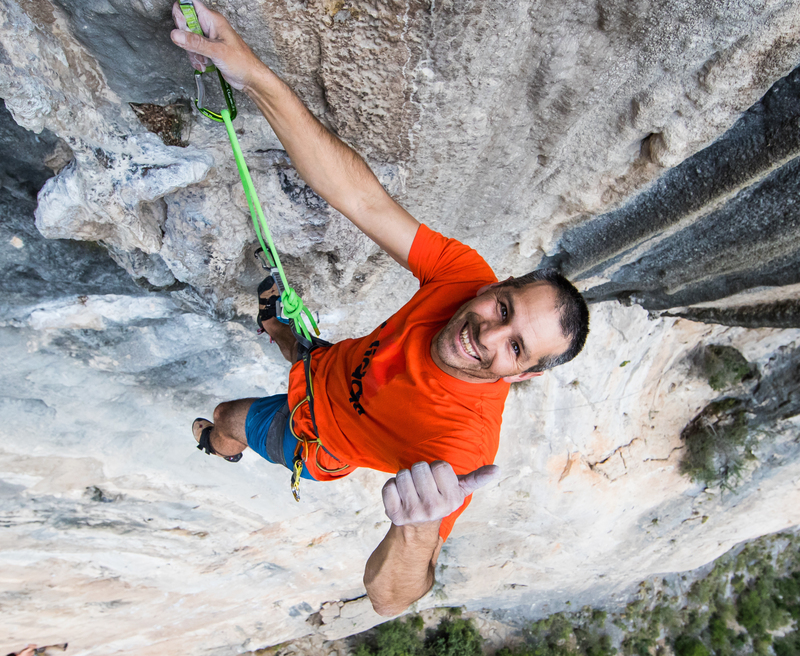 Marcus Garcia has made a goal to be an all-around climber. Life for the 43 year old was growing up in Fort Worth, Texas, with athletics as his source of an outlet. He’s soon found himself travelling around climbing anywhere he could for a few years until he found himself living full time in Durango Colorado, where he lives now with his wife and daughter. Marcus took his years of climbing all mediums and now puts it to use as a climbing gym owner and head climbing coach to all ages. He is now taking his mastery of the winter climbing and growing the awareness of ice and mixed climbing to the young and has started a Youth Ice climbing program, which has placed 3rd and 4th at the UIAA Youth Ice Championship. He is on the UIAA Youth Commission Board, which is helping to bring this sport to the winter Olympics. He still puts his competitive climbing skills to use, as he still competes in sport, mixed ice climbing and bouldering competition. His quest as an all-around climber, has allowed him to be a leading route developer in the areas he has climbed in. Putting up first ascents of all grades, sport, trade, mixed ice on all types of rocks formation. His favorite thing to do is teach climbing. His clinics are loved by all those that have taken them at many of the climbing festivals. Marcus Garcia lives by this quote "Dream as if you are going to live forever, live as if you are going to die tomorrow." Wednesday, April 24, 2019, 7 - 9 p.m.
We hike up Thunderbird Mt every Tuesday morning, just for the aerobic work out. We start hiking on time, so don't be late. A Glacier Travel and Crevasse Rescue Outing will be held the weekend of May 11th and 12th. We will practice a wide variety of techniques that are used for Glacier or Snow travel. The Arizona Mountaineering Club has been teaching outdoor rock climbing for over 50 years. As an all-volunteer organization, AMC is able to offer the most comprehensive training at a very low cost to members. This rock school is for new climbers or anyone who learned from friends, but wants to fill in knowledge gaps and learn the current Best Practices in rock climbing over the course of 4 evenings and 3 all-day weekend sessions. 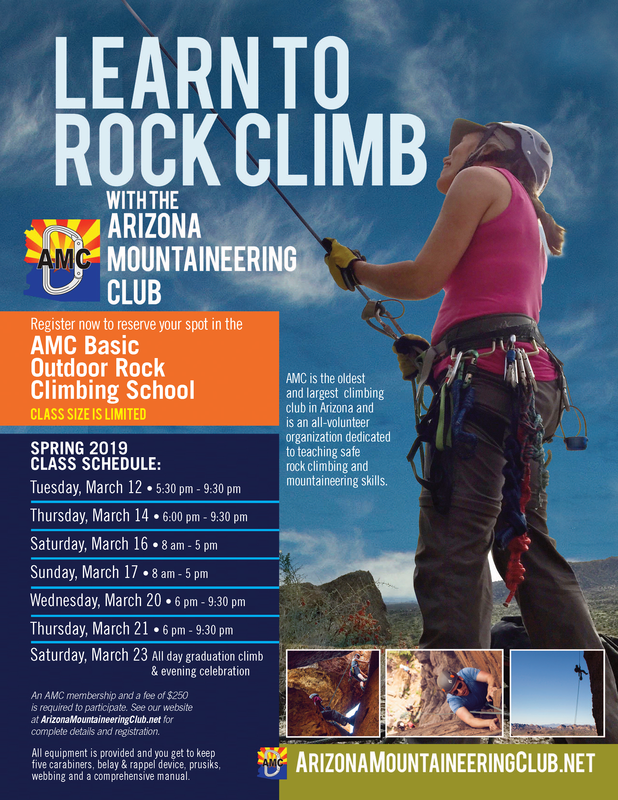 See our Schools page at http://arizonamountaineeringclub.net/schools/outdoor-rock-climbing-school/ for details and registration.